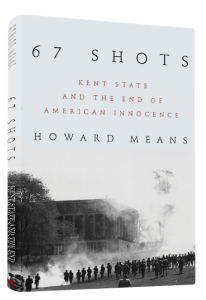 In Howard Means’ fine hands, we discern how the terrible events at Kent State unfolded—relentlessly, ineluctably—like a Greek tragedy. Through dogged and imaginative reporting, 67 Shots shows us how the tragedy fed into, and was fed by, the larger maelstrom of the times. 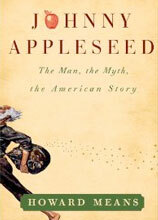 In this definitive account, Means has deftly extracted Kent State from the amber and exposed it to fresh air once again. Howard Means does a marvelous job of weaving together the many strands of memory and the records of the times to create a nuanced portrayal of a moment in American history too often reduced to the lyrics of a Neil Young song. This balanced account does justice to the perspectives of students, National Guardsmen, campus administrators, and local residents alike, both for and against the demonstrations.